Download the current release, exciting lithium. Unpack it to a directory of your choice. All examples in this tutorial assume that the source code of exciting is unpacked to /home/exciting-tutorial. If you choose a different location, replace /home/exciting-tutorial with an appropriate path (from now on the symbol $ will indicate the shell prompt). Move inside the exciting directory and compile the code! The compilation script allows you to choose a compiler and other preferences. For the purpose of using exciting within this and the other tutorials, choose gfortran, no k-point parallelization support, and no SMP support. Pay attention that the (yes/No) choice implies typing a full word and not just the first letter. If the compilation step was successful, the binary file excitingser should be available in the /home/exciting-tutorial/exciting/bin directory. 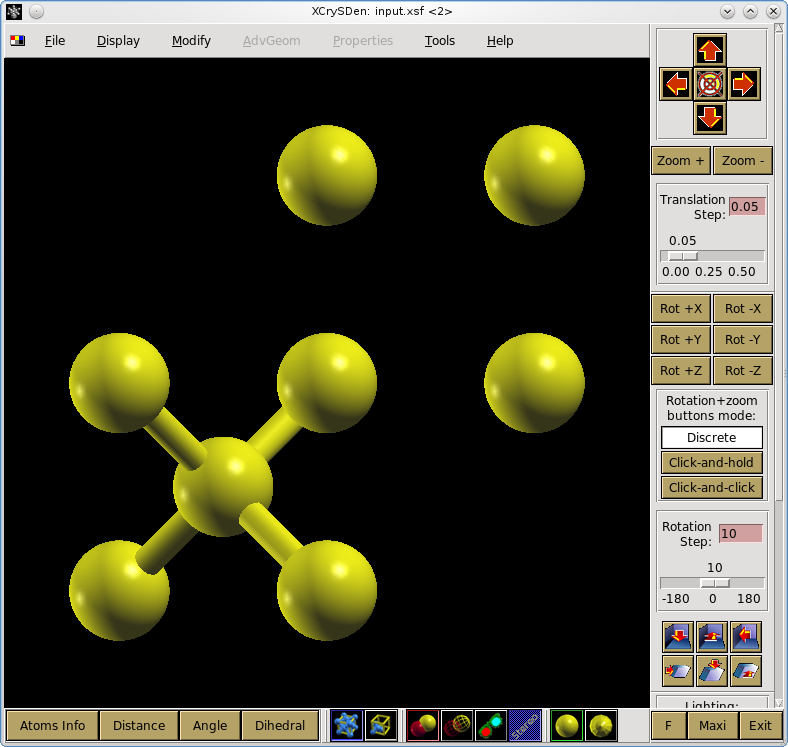 For the very first exciting run, you will use an already prepared example of an input file that sets up a total-energy calculation of diamond. Input files for exciting are written in the XML format. It allows your data to be written in a structured way. Figuratively speaking, an exciting input is pretty much like an article with its sections and subsections. In case of XML data, sections and subsections are called elements. Let us examine this example bit-by-bit. The first and the last line indicate the beginning and the end of the input. The element title contains some freely chosen text simply to describe the calculation. Keywords <title> and </title> indicate the beginning and the end of the element. The element structure describes the geometry and the chemical composition of a studied system. Notice that the declaration of the structure section contains an additional information – parameter speciespath. Such parameters in the XML language are called attributes, and their values are always given in quotes regardless whether it is numerical, symbolic, or boolean information. The attribute speciespath defines the location, where the files with the data about chemical elements is stored. The example above uses a remote location, which will suffice as long as your workstation has an internet connection. An alternative possibility is to use a local path, for instance, by setting speciespath="/home/exciting-tutorial/exciting/species" (for further details see Tutorial scripts and environment variables). The element structure contains subelements crystal and species. 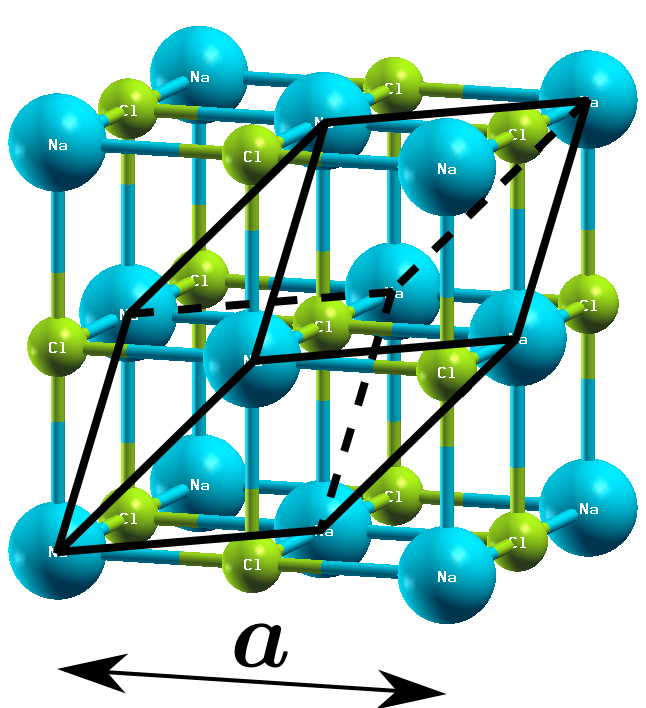 The element crystal is used for defining the Bravais lattice of the studied system. It contains three lattice vectors in units of the attribute scale that is given in bohrs. The element species describes the chemical composition of the studied system. 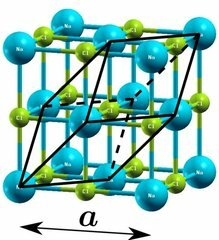 The primitive unit cell of diamond contains two carbon atoms, and their positions are given in the basis of the lattice vectors. The element groundstate contains attributes that define computational parameters. In particular, in calculations of periodic systems it is necessary to define how the Brillouin zone is sampled. It is done using the attribute ngridk. The calculation of some quantities, such as the electron density and the total energy, requires an integration over the Brillouin zone. In practice, the integration is replaced with a sum over equally-spaced points. The number of divisions of the Brillouin zone along each of the three directions of the primitive vectors of the reciprocal lattice is exactly what is specified in the attribute ngridk. Now, create a directory /home/exciting-tutorial/diamond and save the complete input there as input.xml. While for the storage or archiving purposes you may choose any name for the input file, running the exciting code requires that specifically the file input.xml is present. To run exciting, you need enter to the /home/exciting-tutorial/diamond/ directory. Then, simply execute the excitingser binary. After a few seconds, the calculation should be finished. The execution of exciting will produce a number of output files. Examine INFO.OUT. It contains basic information about the calculation. Below, this file is discussed for the diamond example. The next session contains lattice parameters and derived quantities. Further computational details are printed below. The type of the exchange-correlation functional used in the calculation is among them. Since it was not supplied in the input, the default option (PBEsol) is used. Further, the intermediate and final results are printed after each iteration. If the calculation has successfully ended, the INFO.OUT contains a message that the self-consistency criteria (shown in parentheses) are matched. The final answer is reported during the last iteration. Final messages tell how the execution time was distributed over different parts of the exciting code. Task: Create the input files of SiC in the cubic (zinc-blende) and hexagonal (wurtzite) phases. Run exciting to obtain the total energies. Hints: In order to find the structural parameters, you can use the free Crystallography Open Database.